The acid loading test (pH) measures the ability of the kidneys to send acid to the urine when there is too much acid in the blood. This test involves both a blood test and urine test. Before the test, you will need to take a medicine called ammonium chloride for 3 days. Follow instructions exactly on how to take it to ensure an accurate result. Urine and blood sample are then taken. Your health care provider will tell you to take ammonium chloride capsules by mouth for 3 days before the test. 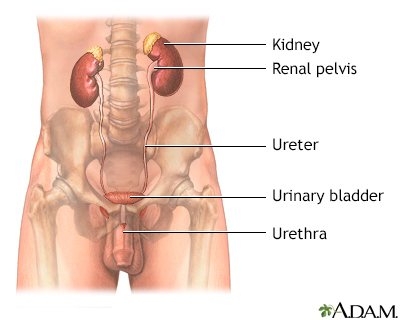 The urine test involves only normal urination, and there is no discomfort. 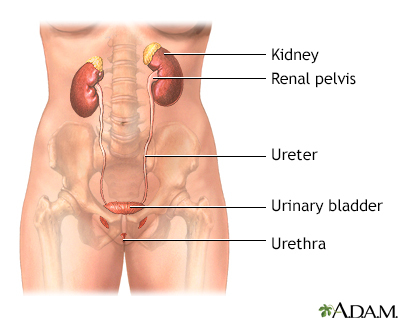 This test is done to see how well your kidneys control the body's acid-base balance. Urine with a pH less than 5.3 is normal. The most common disorder associated with an abnormal result is renal tubular acidosis. Edelstein CL. Biomarkers in acute kidney injury. In: Edelstein CL, ed. Biomarkers of Kidney Disease. 2nd ed. Philadelphia, PA: Elsevier; 2017:chap 6.